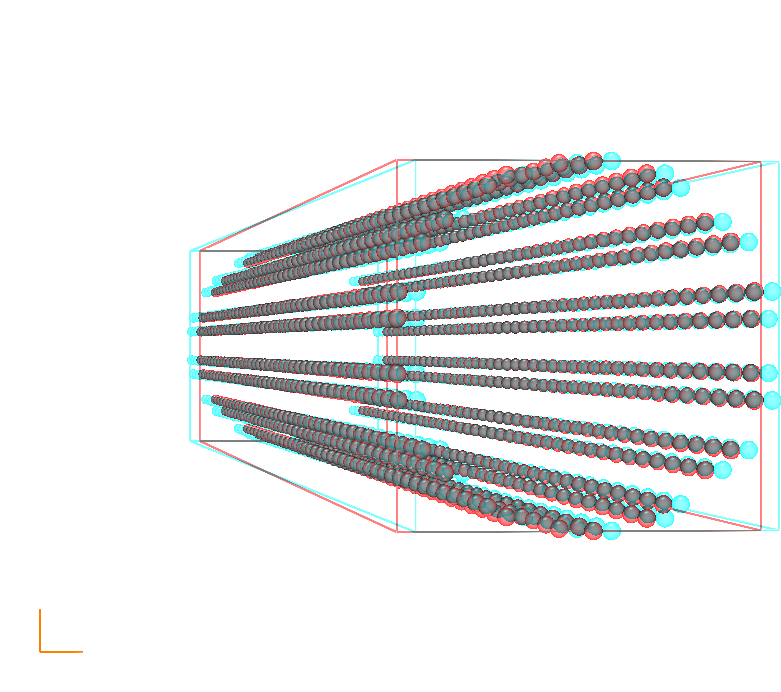 Nanotube vibrations - Continuum and atomistic scale study (Pine, Yaish, Adler). Direct measurement of nanotube wall width. Attach supports and molecules to model sensor device that weighs by measuring change in vibrational frequencies. Electronic density for width measurement and support contacts. Electronic density simulations - Valentino Cooper helped Grosso and Adler calculate nanotube electronic density with Quantum Espresso. QE output transformed to AViz input. Dilution, fovy variation and analglyphic stereo .